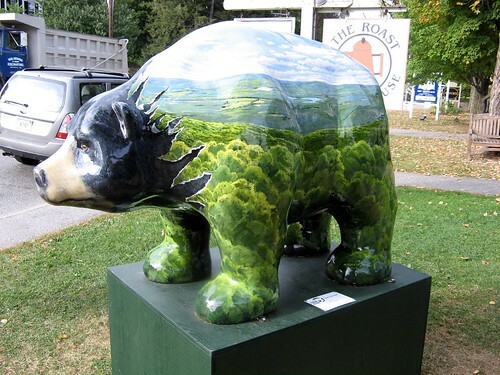 landscape bear, originally uploaded by jahansell. This bear is also in Salisbury - it's just a few yards away from the other, in front of the pharmacy. it's by Eric Forstmann, and it shows the view from the top of one of the mountains - it's gorgeous. I love how he looks like he's bursting right through the scenery!